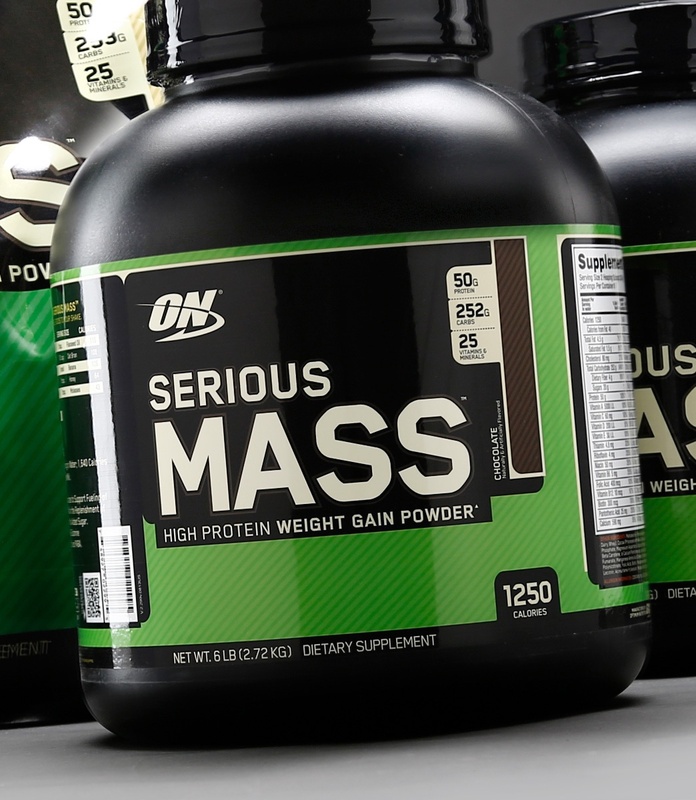 Serious Mass is the ultimate weight gain formula. With 1,250 calories per serving and 50 grams of protein for muscle recovery, this instantized power makes a sizable post-workout and between meals shake. Serious Mass gives you the tools you need to pack on pounds and - when coupled with serious weight training - develop your physique to the fullest. Between Meals: Drink 1/2-1 serving of Serious Mass betwen meals to maintain positive nitrogen balance and support a high-calorie diet. 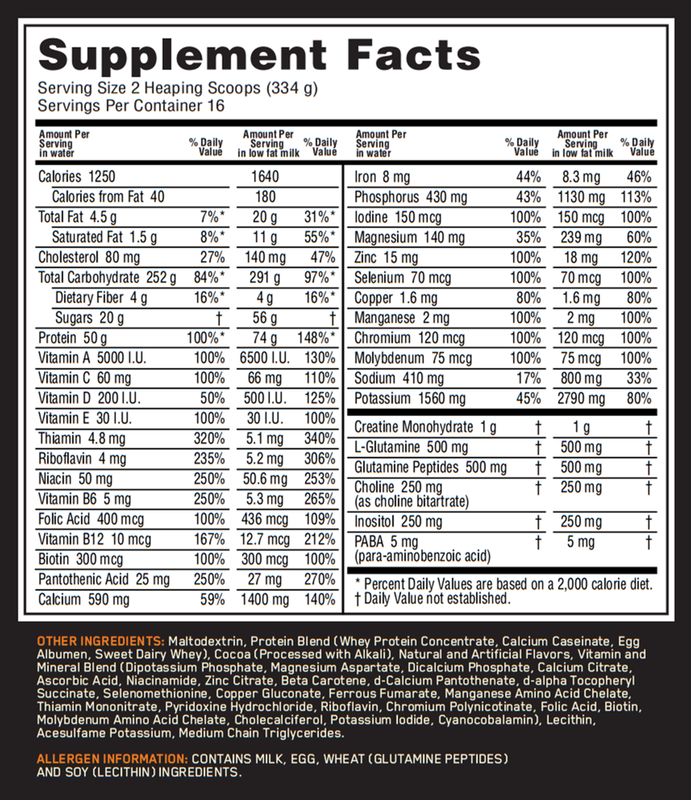 Post Workout: Begin drinking 1/2-1 serving of Serious Mass 30-45 minutes following exercise to support maximum recovery. Note: For best results use Serious Mass combined with intense weight training (3-5 times per week) and a sensible whole foods diet. Also, keep in mind that sufficient recovery between workout impacts your ability to gain lean mass. Allowing at least 48 hours between workouts involving the same body parts is recommended. Warnings: Keep out of reach children. Do not take this product if you are pregnant or nursing a baby. Check with a qualified healthcare professional before using this product if you are under 18 years of age or if you have any known or suspected medical condition(s) including diabetes, hypoglcemia, and/or if you are taking any prescription or OTC medication(s).